It’s become a hotbed for the top players in Western Canada, with more and more top Bantam prospects making the jump from their local minor hockey associations to the sport schools. The league is also growing, adding more academies from British Columbia across to Manitoba. There are now 13 teams at the Bantam Prep level, up from nine last year. Additions this year include the Burnaby Winter Club, Northern Alberta Xtreme and Pacific Coast, plus Delta has split into two teams: green and white. Bantam Varsity has grown from six to eight teams as St. George’s School added two teams, West Van Academy joined and Delta reduced from two teams to one. Two teams entered the fold in Elite 15s: Rink from Manitoba and OHA Edmonton. In the Female Prep Division, Banff, Shawnigan Lake and Delta are in and Notre Dame left. Female Varsity was the lone division to drop teams, losing Shawnigan Lake and Banff to the aforementioned Prep Division and gaining Pilot Mound of Manitoba. The two Midget Divisions, Prep and Varsity, did not see much change, as Prep gained West Van while Varsity saw Shawnigan Lake drop from two teams to just one. Proof as to how much it has grown? Just five years ago in 2012-13, there were only two divisions, Prep, consisting of five teams, and Varsity with six. With teams growing, the quality of players is increasing as well. Top WHL Draft prospects normally used to play out of their local minor league programs, but recently, players have been heading to academies. This year, 13 of the top 15 prospects (according to the dubnetwork.ca) are playing in CSSHL schools. Last year’s draft had 11 of the the first 15 draft picks from the league. To show the change, the 2016 draft had 10 players out of their local minor league Bantam programs out of the first 15 selected. 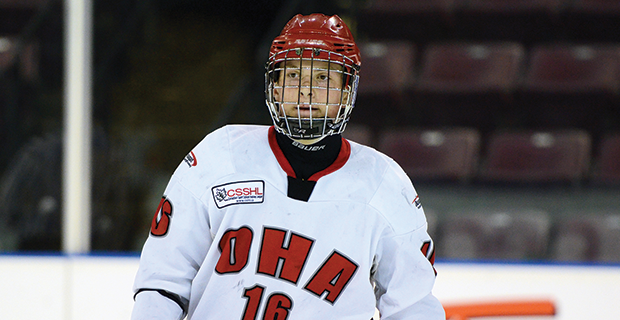 The CSSHL will likely continue to take the top players if they’re willing to leave home at 12 or 13. More scouts will be heading to watch CSSHL games to watch top prospects, both for the WHL Draft, but also female players for U SPORTS teams and Midget skaters for Junior A squads. Top tier players will head to these academies in search of the best combination of sport and school, but it’s a large financial burden for some. It will be interesting to see if minor hockey programs find a way to combat players leaving for academies, plus how much the CSSHL grows in the meantime.